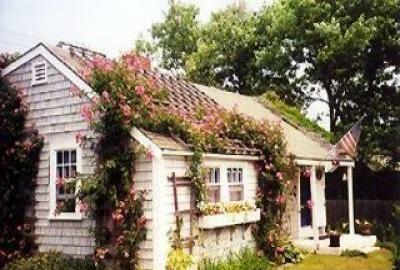 charm of this cottage is its rose covered roof. a brick patio, as well as a front porch and yard. Casino', the public is invited to see current movies in the evenings. $2400 per week. Rate declines after September 15th. Home exchange is available. Contact owner. Home is NOT for sale.